German prosecutors said on Tuesday they were preparing an application to extradite former Catalan leader Carles Puigdemont to Spain on charges linked to his role in the campaign for the region’s independence. The higher regional court of the northern state of Schleswig-Holstein is yet to decide on the extradition but said on Tuesday it did not see any reason to put him in custody during the procedure. Catalonia held a secession referendum on Oct. 1 and then declared independence but Madrid has blocked any attempts at independence in the courts, citing Spain’s constitution which says Spain is indivisible. Spain sacked the regional government following the declaration. Puigdemont, who left Spain for Belgium after being fired, was arrested in March on a Spanish-issued arrest warrant as he entered Germany. 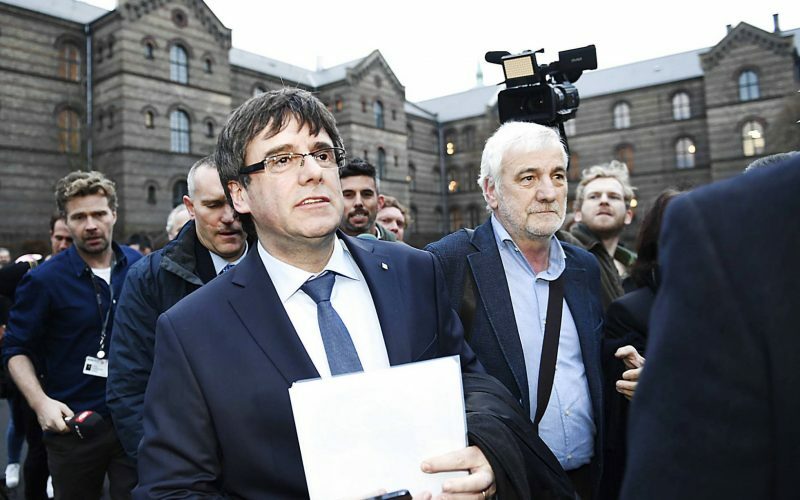 Last month the court rejected an extradition request for Puigdemont on the charge of rebellion for his role in the campaign for the region’s independence. However, it agreed to release him on bail and said extradition to Spain was possible on the lesser charge of misuse of public funds. Prosecutors challenged the court ruling by saying on Tuesday that extradition on the grounds of the accusation of rebellion was justified because they had new information from Spanish authorities such as videos showing violence against police. “The riots were on such a scale that the prosecutors think he can be extradited on the accusation of rebellion,” prosecutors said in a statement. “At the moment the prosecutors are preparing to declare that the extradition of the accused is permissible,” they said. The prosecutors had also applied for Puigdemont to be put in custody prior to extradition. The court said it was unclear when the court would rule on the extradition itself.